"Mark was wonderful! He helped me out at a very busy time for him, and did an excellent job. I am looking forward to working with him again!..." At AMS Lawn & Landscapes, we believe that the layout is the first area of the landscape to capture the attention and draw the viewer in for a closer look. Flowers enhance your outdoor living space by adding color and fragrence to the landscape. It is the finishing touch that defines individual taste and style, and it’s what brings a landscape design to life. 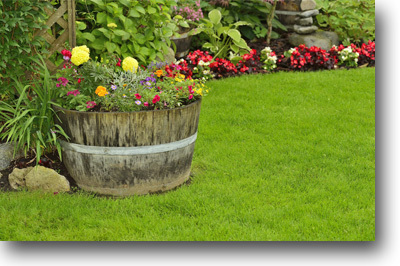 AMS Lawn & Landscapes can make color the distinctive difference on your property with our artistic and creative themes. Everyone loves color whether you are bringing in a new season or dressing up your home for an upcoming function. Here is just a small sample of some of the Annual and Perennial Flowers that we use in our colorful landscape designs.